Elevation Change Map: 0 ft. to 220 ft.
Set deep among towering forests below the steep slopes of the Blue Mountains in Eastern Pennsylvania, the Alpine Motorsports Club offers the ambiance of the Austrian Tyrol, the atmosphere of a traditional European road-course, and the challenge of a mountain pass in a magnificent and breathtaking setting. The Alpine facility is located just a short drive from the bustling urban centers of New York, Philadelphia, Eastern Pennsylvania, and Northern New Jersey. 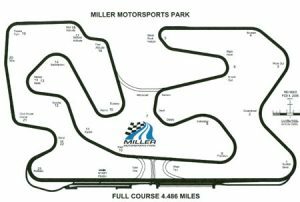 Designed by world-renowned track designer and safety expert Alan Wilson, this private motorsports resort features a road-course that is truly unique in North America and the world. The Club’s challenging road-course climbs & twists over 220 feet along the lower plateaus of a lofty mountain range, before plunging like an Alpine pass back down to the Clubhouse, activities center, and Paddock areas. The Club’s facilities are designed to bring the most enjoyment to your day, whether you’re driving or not.